Franco Nuscheseʼs Cafe Milano Celebrates 25th Anniversary | Ciao Washington! Franco Nuschese’s Cafe Milano restaurant in Georgetown has been called “Washington’s ultimate gathering hole,” and for good reason. Since its opening in Georgetown in 1992, Cafe Milano has become a Washington institution, where VIPs, politicians, diplomats, lobbyist, celebrities, business leaders, tourists and locals go to eat, make deals, or just to be seen. 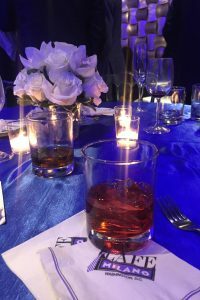 For the retaurant’s 25th Anniversary in November, Nuschese threw a lavish party with more than 1,000 invited guests. “He’s an institution, not just the restaurant,” said Bret Baier of Fox News, who had just returned from China to attend the party. Among the guests, of all political stripes, were Treasury Secretary Steven Mnuchin and wife Louise Linton, Maureen Scalia, Wolf Blitzer, Michael Jordan, Buffy Cafritz, Vernon Jordan, Kathleen Biden, Mayor Muriel Bowser, Vernon Jordan, Bob Johnson and former national security adviser Susan E. Rice. Videos beamed congratulations from Hillary Clinton, Newt Gingrich, Dave Chappelle, Lionel Richie, Bob Woodward, Quincy Jones, and politicians from Nuschese’s hometown on the Amalfi Coast.